The prestigious tournament will be hosted in Tbilisi and Kutaisi in two years' time. World Rugby has today announced that the U20 Championship 2017 will be held in Georgia. The country, which also plays host to the World Rugby Tbilisi Cup, will welcome the future stars of world rugby to Tbilisi and Kutaisi in two years' time. The U20 Championship, which this year takes place in Italy, has seen 343 players graduate to the international test arena since the inaugural tournament in 2008, including many of the world's top stars. New Zealand won the tournament (formerly the Junior World Championship) from 2008-11 with South Africa winning the tournament on home soil in 2012. England lifted the trophy in 2013 and 2014 and will be hoping to make it a hat-trick of wins in Italy this June. World Rugby Chairman Bernard Lapasset said: "I'd like to congratulate the Georgian Rugby Union on being chosen to host the prestigious U20 Championship in 2017. "I'd also like to thank the Georgian government for its investment in hosting the tournament. The future stars of world rugby will enjoy a great event in 2017, with unique hospitality and a warm welcome in a country that boasts such a rich cultural and sporting heritage." The decision to award the U20 Championship to Georgia in 2017 was taken unanimously by World Rugby Council at a meeting in Dublin this week. Dates and venues will be announced in due course. President of the Georgian Rugby Union George Nijaradze said: "Hosting the World Rugby U20 Championship 2017 is the highest honour, not only for Georgian rugby, but for Georgia as a country. "This tournament is a perfect way to further promote rugby in our country and we're delighted to be chosen to host this event. This is an acknowledgement of the level which Georgian rugby has reached and shows what has been done to develop rugby here. "This tournament will enhance our international profile and hopefully attract a large number of people to visit our country, enjoy our rich culture and famous Georgian hospitality." "There has been a remarkable transformation in the standard of rugby facilities in Georgia over the past seven years thanks to a multi-million dollar facility investment programme funded by the Cartu foundation and supported by the Georgian government.Commenting on the announcement, World Rugby Head of Competitions and Performance Mark Egan said: "The awarding of the World Rugby U20 Championship 2017 to Georgia marks a significant milestone in the development of the game there. "Georgia now boasts a multitude of world-class training and playing facilities that would be the envy of most tier one unions. The awarding of this prestigious tournament to Georgia is a just reward for the outstanding progress that the union is making at both the grassroots and high-performance levels of the game." World Rugby invests close to £2 million each year in both the U20 Championship and its sister competition, the U20 Trophy. Over the four-year cycle, 2012-15, World Rugby will directly invest approximately £3.2 million in Georgia to assist in running the union's development, high-performance and national team programmes, as well as their hosting of the annual World Rugby Tbilisi Cup. 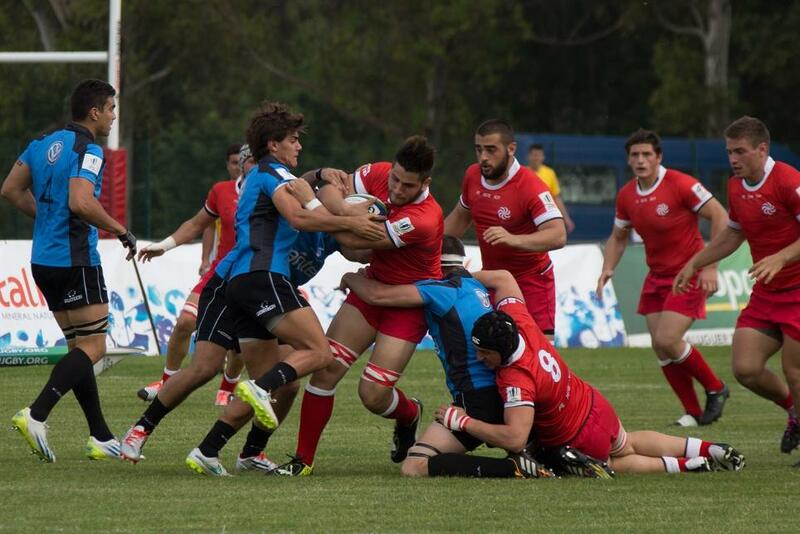 This year's U20 Championship kicks off in Italy on 2 June, with more details on the tournament here.